Avionics in planes, training to be a CFI, and buying a Twin Comanche. All this and more in this episode of In The Pattern Podcast. BasicMed, Flight Reviews, Checkouts, and really really long trips. Chris chats with Dave Pascoe of LiveATC. Chris talks to Jason Schappert at his booth in Hangar B.
Chris sits down for a chat with Ken Mist during the Wednesday night airshow. Chris does a final Quickcast all on his own. Brad's club gets a new plane, John does some pattern work, and Chris...well we have to get this episode in your hands, so listen and find out! John misses his first Oshkosh since 2009 and is night current, Chris flies a lot of light sport, Mark has more experience with density altitude, and Brad keeps currency while waiting for his club to buy more planes. Chris flies light sport, Brad drops a cylinder, Mark can't climb and John keeps currency. John is joined by Pete who talks about his first time at SUN 'n FUN. John is joined by Neil who talks about the show and his impressions as a first timer. John drops in with some notes from the first few days of the show. John starts racking up the hours, Chris helps hand prop a champ, Mark starts IFR ground, and Brad can't seem to get a charity flight in. Chris sees a Starship, Brad attempts be a good citizen, and John flys out west. We are joined by two special guests Franz and Fred as they talk about their flight with Mark and Chris to Catalina Island. John also joins us after figuring out Zulu time and updates us on his flying. John and Chris jump on to discuss John's first attempt at an Open Airplane checkout. The gang is back after Oshkosh 2015, and a few of us have actually flown! 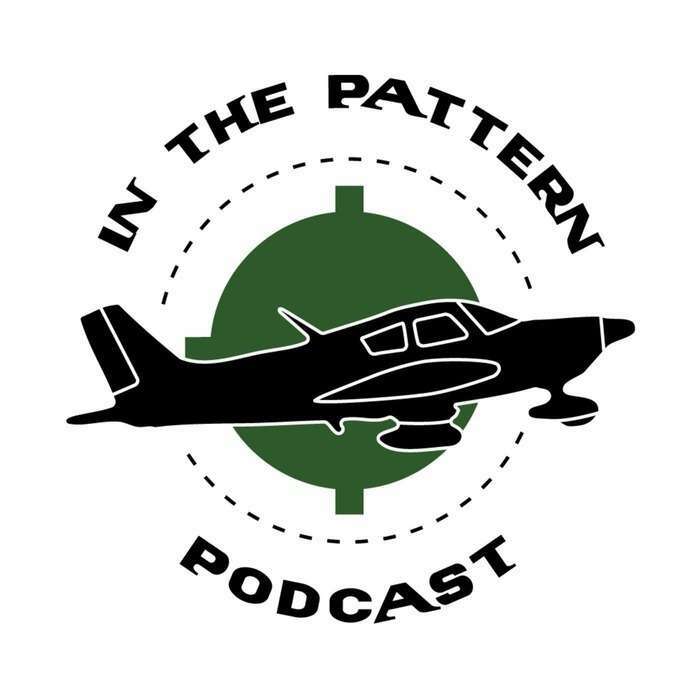 We recap those flights and some closing thoughts on Oshkosh 2015 in this episode of In The Pattern Podcast. Ariel Tweto joins us to kick off the episode and talks about her trip to Oshkosh, working with Jason Shappert of MZeroA, and her desire to be an Aerobatic Pilot. Then Brad, Chris, and John go over flying into Oshkosh and their experience at the show. All this and more in our all Oshkosh episode from Camp Bacon at EAA Airventure Oshkosh 2015. In this episode, we have a very special guest, Matt Dearden, join us to talk about Bush Flying in Papua New Guinea and his co-ownership of a Catalina. We catch up on our latest flights and talk about the upcoming EAA Airventure Oshkosh 2015. This episode, recorded winter 2015, we talk about flying in the winter, plans for Oshkosh 2015, and our latest flights at the time. On this cold evening, Brad wishes it was warm, Mark has a flat, and John does a checkout! Mark is doing currency flights, Chris can't see out the window, and John is watching people fly on his computer. Chris and John are back after plenty of scheduling conflicts. They have both flown once and tell all the details. Brad gets instrument and night time while Chris and John dream about flying. Mark volunteers at an airshow, John aborts a few takeoffs, and Chris waits for a Mooney in pieces. We are back! After an unplanned hiatus, many cancelled recordings, we finally got together to recap and wrap up Oshkosh 2014. Brad and Mark take some time on their flight home to wrap up their week and go over Mark's first visit to the center of aviation. Chris continues his tour of the exhibit hangars at Oshkosh and speaks with SkyVector about their flight planning website and future plans like an iPhone app. Chris tours the exhibit hangars at Oshkosh and talks with the developer of CloudAhoy, and iPhone/Android app for tracking flights with some nice features like maneuver tagging. The second quickcast from Camp Bacon, we talk about our eventful Friday at the show where Mark, Brad, and Chris finally get out to see what's at Oshkosh 2014. Chris is back and takes the show filling us in on his flight in an American Champion Scout on Floats. John and Brad go through what we carry in our flight bags, the trails of renting, and we talk a bit about the new ForeFlight Pack feature. 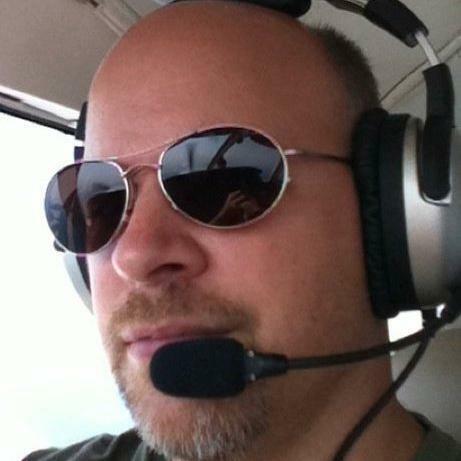 Special guest Neil Bradon ([@pilot_ngp][pngb]) joins us to talk about his experience flying in the US versus flying in Europe and the importance of stopping the US from adopting user fees. This episode we are joined by Franz Forman who recently bought a Mooney. We have a great discussion on how the process of purchasing the aircraft and what goes into an aircraft purchase. Episode 39: Do you have a storm scope? SUN 'n FUN wrap up, Brad's thunderous trip to Arkansas, and a little bit of formation flying. Quickcast from the grounds of SUN 'n FUN 2014. A go around. Some Turbulence. A Flightbag. Mooney Problems and Mooney Purchases. Plus a few aviation polls and the FBI hunts laser pointers. This episode we discuss aircraft for sale that are realistic purchases. Chris and John discuss their successful Flight Reviews, Brad talks about getting checked out in his club's Mooney and Cherokee Six, and the group discusses flying with smaller tablets. Chris talks with Larry Overstreet, @LarryOverstreet, at Camp Bacon. Chris talks with Martt Clupper of AirPigz at Camp Bacon. Chris talks with Rod Rakic of OpenAirplane at Camp Bacon. Chris talks with Paul Harrop from AOPA Live at Camp Bacon about the camp and the whiz bang AOPA Sweepstakes Debonair. Chris talks with Ron Klutts, @Captain_Ron, at Camp Bacon. Chris takes a few minutes to talk to Sam and Nick Moore (@AA1Flyer) about their experiences at Oshkosh for the 29 years Sam has been coming to the show. Quick update from EAA Airventure 2013, Day 2 of the airshow. Chris goes to St. Maarten, John finally makes it to SUN'n'FUN, and Mark renews his Medical. Mark gives us the entire story of his Private Pilot Checkride. Mark gets a lot of flying in preparation for his checkride, Chris learns to spin, and Brad takes on some ice. Short quickcast from John's first day at Sun 'n Fun 2013. In this continuation of Episode 26 Alpha, John discusses his lack of flying, Brad's club might be getting an Ovation, Chris is checked out in lots of airplanes, and Mark claims the AOPA Debonair Sweepstakes plane all to himself. This is our Airventure Oshkosh 2012 Wrap-up episode and we have Brad, Chris, and John on to discuss their favorite parts of the week. So strap in and get ready for the latest episode of the In The Pattern Tower Podcast. In this quickcast, Chris and Brad discuss their experiences of Day 5 and Podapalooza. Thanks to MyTransponder and Sennheiser for sponsoring Podapalooza which was a blast! In this episode we have a very special guest, Rod Rakic, who joined us to discuss his exciting new venture, OpenAirplane. In this episode, Brad tells us a personal story about Carbon Monoxide Poisoning and why it’s important to be aware of it and how to prevent it. Winter weather and cold engine starts are also discussed (a topic very unknown to Chris). In this episode, Mark discusses his reasons for the lack of flying he has been doing and Brad talks about his Instrument progress including Circle to Land and 0/0 takeoff. John and Chris get one last quickcast in on their way to KMKE from Oshkosh. They talk about their Friday and Saturday at the show and the painful ride home ahead of them. Chris and John create a quick podcast on the grounds of EAA Airventure Oshkosh in Oshkosh, WI. We discuss what we have seen this week including Fifi the only flying B-29, the 787 Dreamliner, and quite a few social media events. Chris passes the written, Brad gets some actual, Mark receives a gift card, and John watches YouTube. In this episode we welcome Brad Koehn, a new co-host who is currently training for his instrument rating. We also listen to Chris procrastinate on his FAA written and get some hood work in. Lastly, Mark and John dream of taking to the skies. All this and more in this very special episode of In The Pattern Podcast. Mark goes over his latest cross country dual flights, John wishes he was flying, and Chris is getting close to being done. In this episode, Mark starts his cross country training, Chris flies his tail off, and John takes up his Dad for his first flight. Plus, a we share a few in flight oops stories. Better hold on to your lunch, cause it's time to go In The Pattern. John discusses passing his Private Pilot Checkride! We hear all about the long day he had and even the one big mistake he made. Even with his slight slip up, he still passed and became a brand new Private Pilot. Part 2 of our great discussion with Doug Hindman and Mark Pollard about the Private Pilot Checkride. During this segment, we discuss general checkride topics and John asks a few questions he has about his upcoming checkride. We did it again, another two parter. This time, we have two special guests, Doug Hindman from the Mile High Flyers and Mark Pollard from Inverted Cast, who join us to discuss the Private Pilot checkride. We also have a good discussion on how our significant others feel about our flying money pit. Plus, we talk about judging your passengers and convincing them flying is safe so they have an enjoyable flight. In this episode, we finish our discussion about what we have been up too, and we have some great news. Chris had his first solo! In this episode, we talk about our latest lessons, more soloing, and the problems with having multiple instructors. Also discussed, the one and only Emergency Landings. In this episode, the gang talks about local museums and their initial thoughts on doing the maneuvers for the private pilot certificate. They discuss thoughts and reactions to learning slow flight, stalls, ground reference maneuvers, and steep turns. Finally, Mark talks about his first solo! In this episode, John, Chris, and Mark return to talk about their first flights. We also discuss how we feel about radio communication. Finally, John has his first Solo! Welcome to the In The Pattern Podcast.